Every club and its supporters craves a goalscorer, someone who simply does his job and scores goals. A goal in every three games is more than acceptable, one in two is exceptional, but 64 in 67 appearances is simply staggering and that's the record of Robert Henry “Bobby” Brown at Barnet between 1958-1960. Bobby was born in Streatham in May 1940 “My father, who was a north Londoner, had always been a keen Barnet supporter following them all over the country and as a 7 year old I would watch players like Lester Finch, Dennis Kelleher and Rob Phipps. It took forever to get to High Barnet on the Underground from South London” recalls Bobby with a smile. “The club won the Amateur Cup and were a real force in Amateur game at the time”. 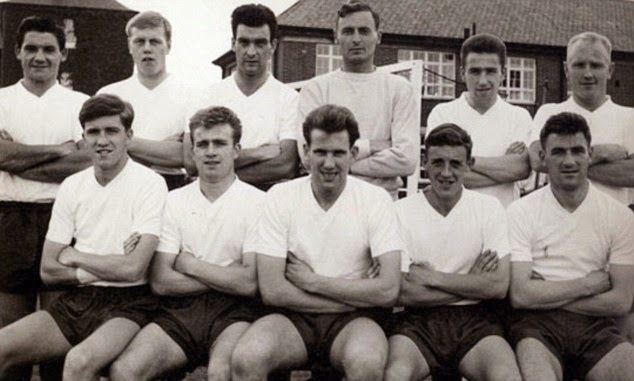 Brown arrived at Underhill thanks to his father's connections and Manager George Wheeler in the summer of 1958 aged just 18. Barnet's skipper during the 1950's was the legendary Alf D'Arcy who described Bobby in his own inimitable fashion, “A very gifted centre forward, lean and so quick but unusually with a sharp brain to go with it! He would take a row with a centre half in his stride and yet out-think his opponent, and he was incredibly fit too”. 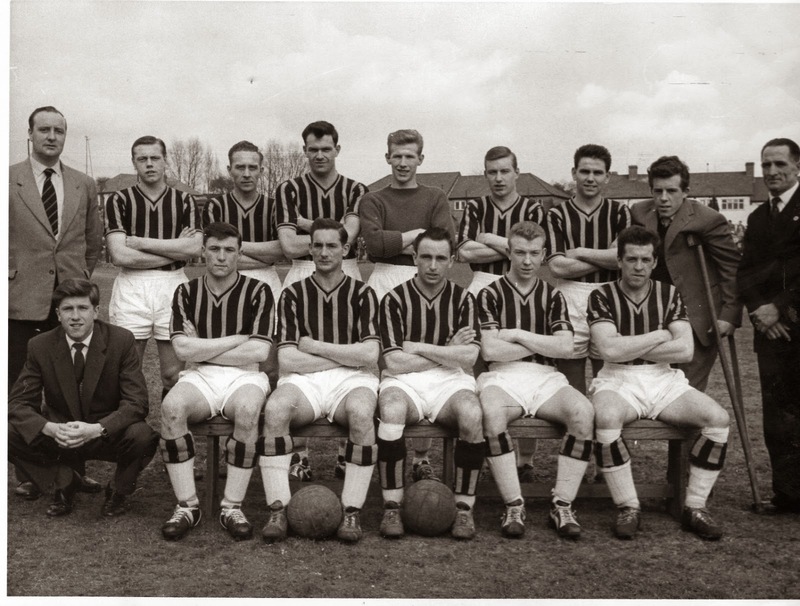 Brian Goymer, Jim Duncan, Micky Cooper, Alf D'Arcy, Bobby Cantwell, Roy Sleap, Roy Drake, Dennis D'Arcy, Bobby Brown, Tony Harding, Johnny Welch. “That team was like second family and that sums up the feeling I have about Barnet to this day, I have very fond memories of the club still”. The following season injures restricted his appearances but the club finished runners up in the League with Bobby scoring 17 goals. Bobby represented Great Britain at the 1960 Rome Olympics and played in all three group matches - the 3-2 win over Taiwan, the 2-2 draw with Italy and the 3-2 defeat to Brazil. He scored in all three games with two goals against the Brazilians who featured future World Cup Winners Carlos Alberto and Gerson in their line up. The late great BFC PR guru Dennis Signy covered the Games for the Daily Mirror and News of the World. Dennis once told me “Bobby was a powerhouse and the most approachable of all the players for a quip or a bit of inside info. Unfortunately Britain failed to progress into the knock-out stages”. He also toured with the FA XI in Summer 1961, playing in a number of the games against the New Zealand teams, and he scored hat-tricks against both Otago and the Minor Provinces”. In 1963 he arrived at Northampton Town making over 50 appearances and scoring 22 times . “The move and wages helped me to buy property in Northamptonshire and I spent three good years there playing in the First Division” said Bobby. In October 1966 Bobby moved again but this time in a £15,000 deal to Cardiff City. As the club's top scorer he won a Welsh Cup winners medal that season allowing City entry into the European Cup Winners Cup. During their successful run 1n 1967-68, when the club reached the Semi Finals loosing to Hamburg over two legs, Bobby partnered the soon to be Liverpool legend John Toshack in attack. While at Cardiff Bobby made 54 appearances scoring 24 goals. A knee injury sustained in a First Division game at Aston Villa in October 1967 tragically ended Bobby's career at the tender age of just 27. Lord knows what he would have gone on a achieve as he really was approaching his prime as a player at that time. “I had had niggling ankle problems since I was at Watford but I damaged my cruciate ligaments and spent 6 months in plaster. It was obvious I would never play professionally again but I put my coaching badges to good use while getting fit again. I played in pre season games and training and I did have an offer from Yeovil Town but that was the era of a club wanting a player/coach and I had been told by the Cardiff doctor that if I played regularly again I would risk being confined to a wheelchair for the rest of my like. I listened to his advise and took up a position liaising with South Wales schools and becoming youth team coach at Ninian Park for the next 10 years. Bobby then invested in a pub/restaurant and an adjoining caravan site near Haverford West in South West Wales and only fully retired some two years ago. “My wife Joy and I now have a beautiful farm house in 30 acres and I am very happy”. On a rather chilling note Bobby told me that as a past Olympic Athlete he was invited to a reunion of comrades at Wembley Stadium for the London 2012 games but took seriously ill on route. “There was the statue of Bobby Moore, who I had played with as a youth, right in front of me! Luckily paramedics were on scene quickly enough because I ended up in University College Hospital with blood clots as a result of a Pulmonary Embolism. It was very serious but I pulled through thanks to the expertise of many people. It was ironic that that was the first time back at Wembley for me since 1959, so I don't have a lot of luck when I visit there do I?” he laughed. 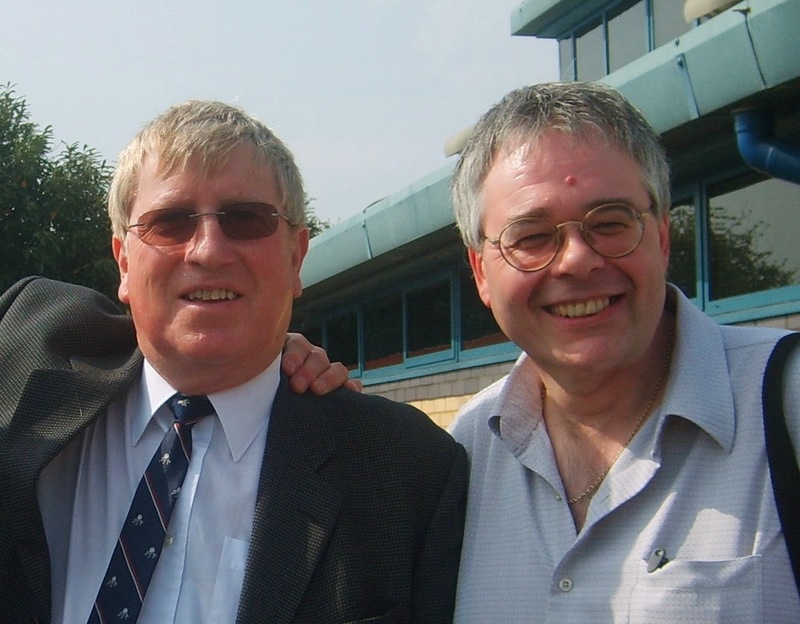 I have now another rather pleasant task in being involved with a reunion of two great players from Barnet Football Club's past and indeed two parts of its very heritage – “it will be a pleasure Bobby” I replied. I was born in Battersea in 1946, and have been a life-long Fulham supporter. Fortunately I have a good memory, and certain things in life stick in your mind. I was standing in a bus queue at Clapham Junction just before Christmas in 1960, waiting for a 628 trolley-bus to take me to Fulham Palace Road. Fulham were at home to Manchester United, so, anticipating a big crowd, I left home earlier than usual. I was near the end of the queue, but I couldn’t help noticing a young man nearer the front. I recognised him by the distinct colour of his hair – it was Bobby Brown. He looked like any other normal person in a bus queue, except that he was holding a pair of well polished brown football boots, strung together, in his right hand. Nothing else, just a pair of boots! The game with Manchester United was a 4-4 draw, and Bobby Brown scored two goals.